By providing our clients with a solid and understandable plan of action, they will gain peace of mind, confidence, and the ability to reach their goals. Our process is based on decades of experience, and has a proven track record of success. With a multitude of forums available, our clients can choose which one they are most comfortable with following. 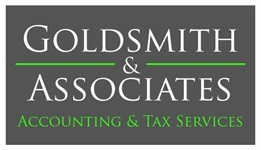 Just as it is true with everything we do here at Goldsmith & Associates, the exact process we use for each client, is dependent upon their unique needs and preferences. We begin the relationship between our advisors and clients, with an introductory meeting. Typically, this will take place at our office. This first meeting is used to get to know the you on a personal level, and gain insight into your financial services or accounting needs. Through conversation, we try to learn as much about your current situation as possible. Our goal is to establish and strengthen a relationship from the very first time we meet. Once a mutually beneficial relationship has been formed, we meet with you a second time, to go over your financial life in greater detail. This meeting is more qualitative in nature, but remains centered around you. After gathering the facts and information needed, we create a customized plan that will help you reach their goals. During this meeting, we will present the plan, answer questions, and gain approval for its implementation. Our team will get to work implementing your plan, based on the recommendations discussed in previous conversations. As the markets shift, and your life progresses, we will revise your plan to ensure it remains focused on your goals. As our client, you are our number one priority. Throughout our process, we will educate you with useful information that you can relate to, and apply in your own life. Schedule your complimentary consultation today, and learn more about how we can assist you with your accounting, tax, and financial service needs.